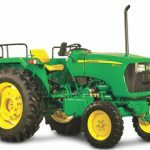 Are you looking for the latest tractor model of John Deere? 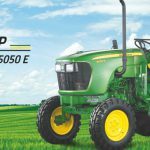 Here you will get all genuine information about John deere 5045 D 45 HP the classic tractor of John deere 5D series. Find out its specifications, overview, price, transmission, engine, brakes, hydraulic system, power take-off (PTO), dimensions etc. 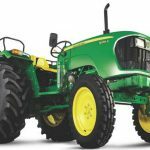 John Deere 5045 D Tractor is fitted with 3 cylinders, 4 strokes, diesel engine with many convenience features not found on most of other tractors in the market. 5045 D 45 HP has the powerful engine with coolant based on the cooling system. 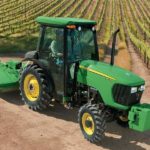 Oil immersed disk brakes and hydrostatic power steering provide better riding control and comfortable riding to the operator. 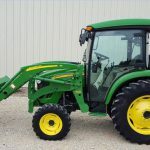 The John Deere 5045 D is an excellent tractor for fatigue farming operations with an affordable price. 4 wheel drive option is for more traction and more pulling power. 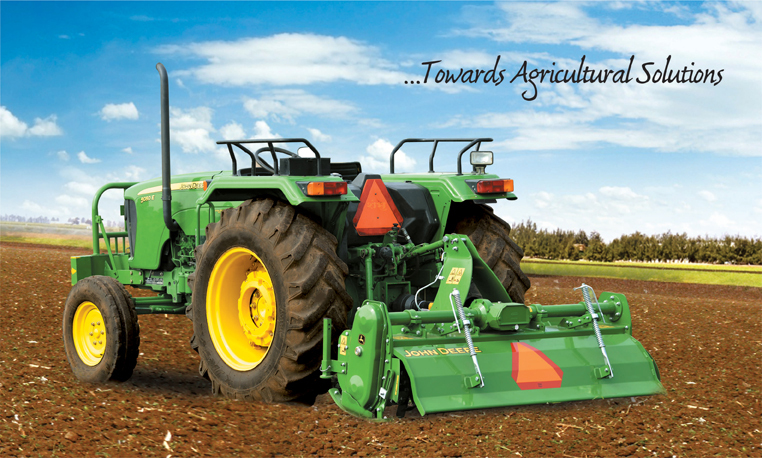 The modern, powerful, 4-stroke, 3 cylinders, direct injection engine is the most fuel-efficient tractor in its class. Every fuel drop is burning efficiently and that fuel converted into useful mechanical power. The driving force behind 5045 D is provided with an oil jet below the piston it is specially designed piston system. It constantly sprays oil on the piston and helps absorb excess heat from the engine. It increases the performance and fuel efficiency of the engine. The great operating temperatures also step-up the life of complex engine parts and it reduces maintenance costs. 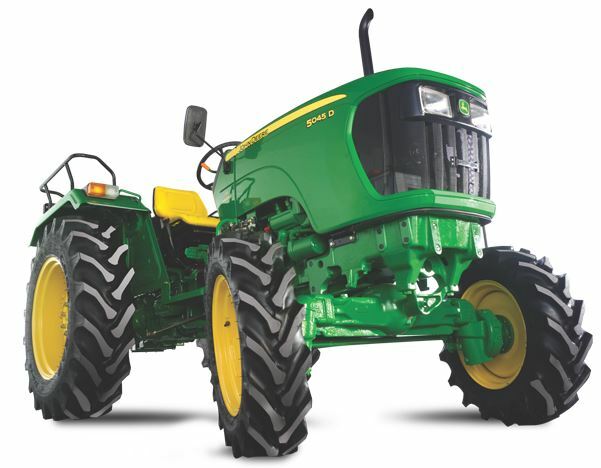 Power steering of 5045 D is comfortable, smoother & secure in turning for the operator while riding the tractor. 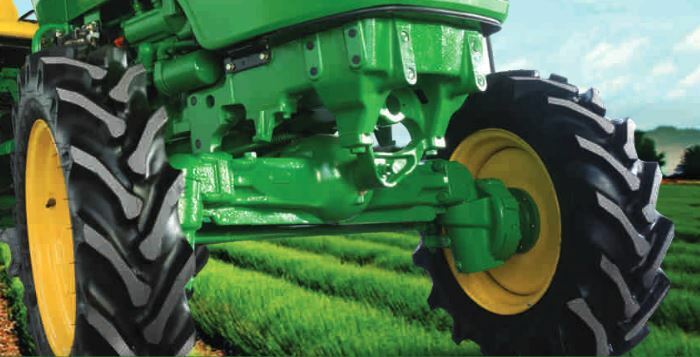 The brakes of John Deere 5045 D are packed and oil-immersed made for lowest wear and tear and longer operating life. The braking system of this tractor is sure and safe for any fatigue condition. The hydraulic system of John Deere 5045 D has easy hitching and usage of execution through MQRL(Mechanical Quick Raise and Lower) switches. 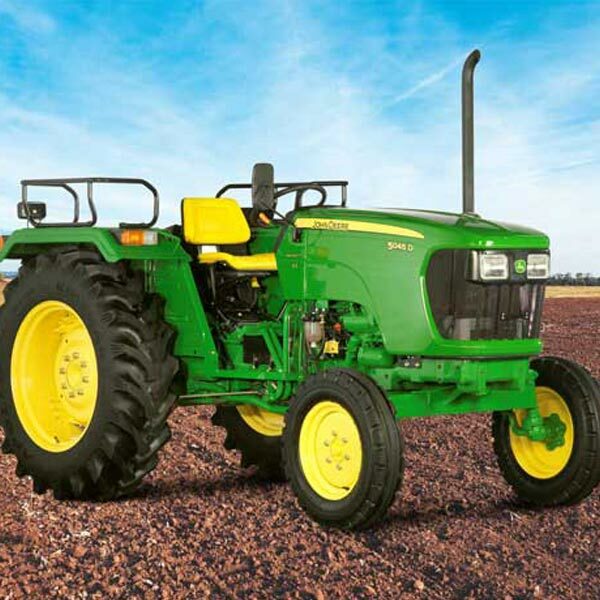 John Deere 5045 D is a perfect tractor for massive farming operations in low budget. 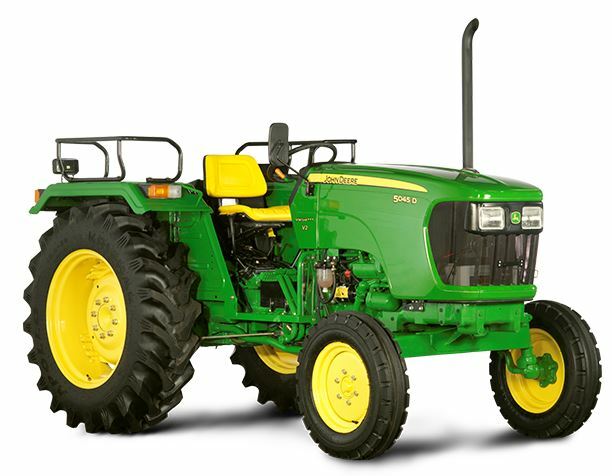 Its performance, engine efficiency, power make sense of John Deere’s modern technology. I hope you would like our article on this classic tractor. If you have any question or suggestion about it, please tell us (comment below). Thank you. 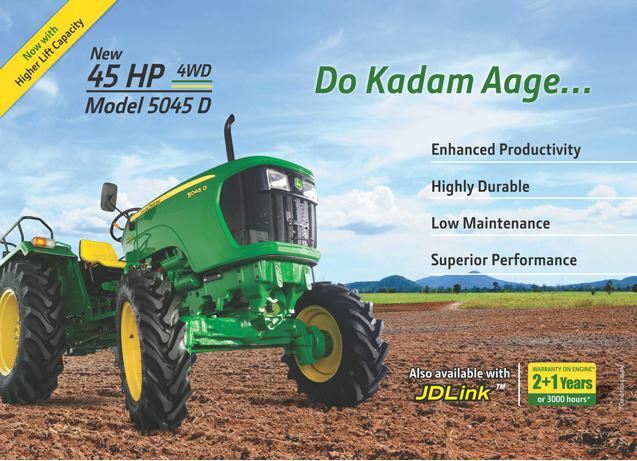 johandear tractor 5045 in price nanded maharastra. 45hp price?